The group consists of 66 ordinary citizens, 29 members of the Oireachtas and four members of the Northern Ireland Assembly. 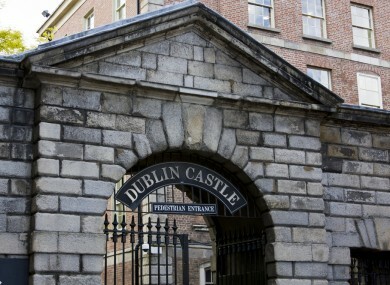 THE 100-STRONG Constitutional Convention is to consider its 2013 work programme for the first time at Dublin Castle later today. The 66 ordinary citizens will meet with 29 members of the Oireachtas, four members of the Northern Ireland Assembly and chairman Tom Arnold from 2pm. Removing the offence of blasphemy from the Constitution. The members have also been asked to review the Dáil electoral system. A report and recommendation on reducing the voting age and the presidential term of office is due no later than two months from the first hearing in 2013. In turn, the Government will be required to respond within four months and, if the proposed change is accepted, it will indicate a timeframe for the holding of a related referendum. The 66 members of the electorate were chosen at random from Ireland’s register of voters. It was selected taking into account age, gender, region and social class to ensure it is representative of society. The four NI Assembly members are Martin McGuinness from Sinn Féin, Stephen Agnew from the Green Party, Alban McGuinness from SDLP and Steward Dickson of the Alliance Party. Fine Gael is represented by 12 Oireachtas members, including Jerry Buttimer, Michelle Mulherin and Children’s Minister Frances Fitzgerald. Coalition partner Labour will have seven representatives, including Senator Ivana Bacik and Ciara Conway TD. Fianna Fáil have four representatives – Deputies Sean Ó Fearghail and Seamus Kirk and Senators Averil Power and Thomas Byrne. Gerry Adams and Mary-Lou McDonald will attend on behalf of Sinn Féin, while the Technical Group is sending Catherine Murphy and Maureen O’Sullivan. The Convention’s two Independents are Senators Ronan Mullen and Jillian Van Turnhout. Today, the Convention will hear presentations on the origins of Ireland’s constitution, the development of society since 1937 and the experience of citizens’ assemblies in other countries from High Court judge Gerard Hogan, historian Professor Dermot Keogh and political scientists Dave Farrell and Jane Suiter. Taoiseach Enda Kenny, Tánaiste Eamon Gilmore and other party leaders will also address the panel. All documents and submissions to the Convention will be made available to the public on its website. Meetings will also be streamed live from tomorrow afternoon. Email “Constitutional Convention meets for first time this afternoon”. Feedback on “Constitutional Convention meets for first time this afternoon”.